Our salon provides a friendly and warm atmosphere for men, women & students. without the center city prices. Stop in during your lunch break. It’s our specialty to have you back to work on time & looking good. We specialize in lunch hour appointments & reasonably priced, exceptional services. 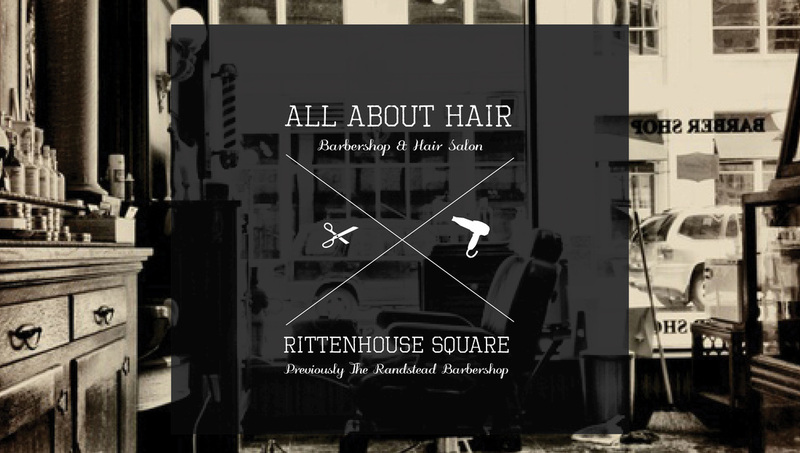 Lou Cioci of Ranstead Barber Shop is now at All About Hair! "I've been to a few places to get my hair cut since I moved to Philly last year, and I think I finally found one I will go back to. Friendly atmosphere, with relaxing music and jolly employees made for an enjoyable trip, and I could really tell that the woman who cut my hair knew what she was doing and cared about my hair. I look forward to going back for my next hair cut." " Is there any way that I can give a sixth or even seventh star to this place? Perhaps I'll contact the Yelp! corporate offices in San Francisco to inquire about expanding the star system using Lou and All About Hair as the Exhibit A. I've been on a three year odyssey, which has included some of the worst haircuts and barbers this side of, well, anything, to find a place like All About Hair. It is simply fantastic. I was here early on a Friday morning and aside from doing an incredible to the follicles that rest atop my head, Lou provided fantastic conversation and an environment that was more than inviting. I haven't written a Yelp! 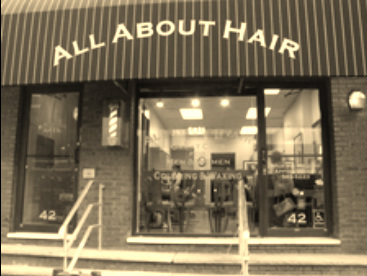 review in a very long time, but after my experience at All About Hair, I felt compelled to fire off a five star review about this gem of a place. 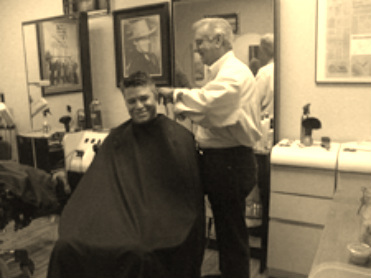 Needless to say, I've found my barber of choice and they've made a long-term customer out of me." - Steve M.
Read more about Us on Yelp! - where customers love us.